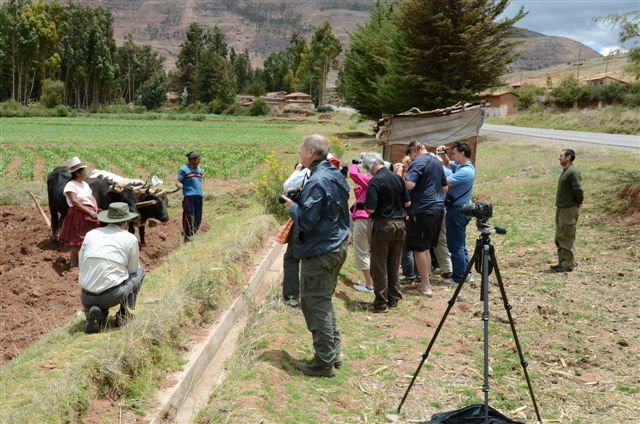 Escorted Peru Tours, covering the Ballestas Island, Nazca Lines, Sacred Valley, Cusco, Machu Picchu, Arequipa, the amazing Colca Valley, and the highest navigable lake in the world, Lake Titicaca. Maximize comfort and value, while taking advantage of the camaraderie that comes with traveling as a group. Our Escorted Peru Tours feature a professional English-speaking tour manager to handle all of your needs. Escorted Peru tours, sightseeing tours are provided by professional English-speaking local guides. No more than an 16 clients (and probably less) in a group. • Visit Ballestas Island, Nazca Lines, Arequipa, Colca Valley, Lake Titicaca and Cusco. • Full Escorted and guided tours. Sample prices displayed include domestic airline tickets as per itinerary and ALL airline-related taxes and fuel surcharges and are per person, based on double occupancy, and are dynamic in nature. Prices do not include insurance or delivery charges which are optional and customizable by the traveler. The airfare portion of the itinerary price is based on economy class. Prices do not include fees for carry on or checked baggage which can add up to $120 per ticket on a roundtrip flight. It also does not include any entrance fees or visa fees that may be charged at international airports. Some cities may charge local taxes that can only be collected by hotel at destination. Arrival into Lima airport, our Escorted Peru Tours manager will meet you at the airport and will be holding a sign with your Last Name. 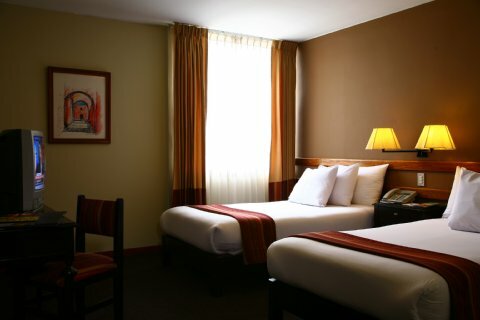 Transfer you to the hotel in exclusive zone of Lima in Miraflores for overnight. We stay at Jose Antonio Lima 4**** Hotel. Tip! Do not accept the services nor engage with a representative that does not hold proper identification that matches the company name on your vouchers. After breakfast, we have a brief orientation before start our escorted Peru Tours. To day we have our private transportation to some three hours south of Lima to Paracas. Arrival and overnight at the hotel selected. After breakfast, transfer to the port for the boat to the Ballestas islands. These spectacular islands, eroded into many caves and arches, provide shelter for thousands of seabirds and hundreds of sea-lions. Although the islands fall just outside the Paracas National Reserve they are protected by separate legislation. The islands are home to over 150 species of marine bird including the Humboldt penguin, cormorants, boobies and pelicans. On the shores can be seen large numbers of sea-lions and in the sea it is possible to encounter dolphins and even whales. After the boat tour, return to the mainland for an excursion to the Paracas National Reserve. Flight tour over the enigmatic Nazca Lines; The Nazca lines are geoglyphs and geometric line clearings in the Peruvian desert. They were made by the Nazca people, who flourished between 200 BCE and 600 CE along rivers and streams that flow from the Andes. The area of the Nazca art is called the Pampa Colorada (Red Plain). It is 15 miles wide and runs some 37 miles parallel to the Andes and the sea. Dark red surface stones and soil have been cleared away, exposing the lighter-colored subsoil, creating the “lines”. There is no sand in this desert. From the air, the “lines” include not only lines and geometric shapes, but also depictions of animals and plants in stylized forms. After breakfast, early departure to reach the Cruz Del Condor viewpoint, a few kilometers before Cabanaconde, where the Colca Canyon starts. Here Andean Condors and other Birds of Prey, roost on inaccessible ledges and once hot air thermals have developed, produced by the burning Andean Sun, they circle out gaining height and provide stunning photographic opportunities. After breakfast private vehicle through the Sacred Valley of the Incas. Later on, we will have the opportunity of visiting the lively local Ancient Pisac market where many of the local Indians sell their hand made textiles. For lunch we will have the chance to eat a buffet lunch at the local hacienda restaurant with traditional Andean foods and music. We continue to Ollantaytambo the major Inca fortress. Probably built by the great Inca ruler, Pachacuti in the 1460s, it was the site of Hernando Pizzaro’s defeat by Manco Inca in 1536. 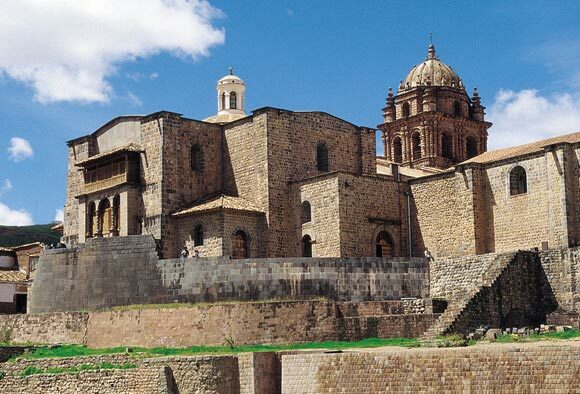 Constructed of finely cut polygonal stones and rhyolite blocks, the fortress and nearby town represent the best of Inca architecture and construction. It is said that Machu Picchu is a place of great spirituality, and the best time of the day to sense this is at sunrise. Early risers may walk through Machu Picchu in the mist to explore the ruins without crowds. We’ll take the 20 minute bus ride up to Machu Picchu, perched 600 meters above the river. Leisurely day with plenty of opportunity for shopping. If you are planning to stroll down the streets of Cusco, doing some shopping in the city, or simply going at your own pace, please keep in mind that Lunch has not been included in your Escorted Peru tour group Series. We are located in Miraflores, a residential district and an excellent location for business or tourism, nearby you will find shopping, dining and recreation areas. 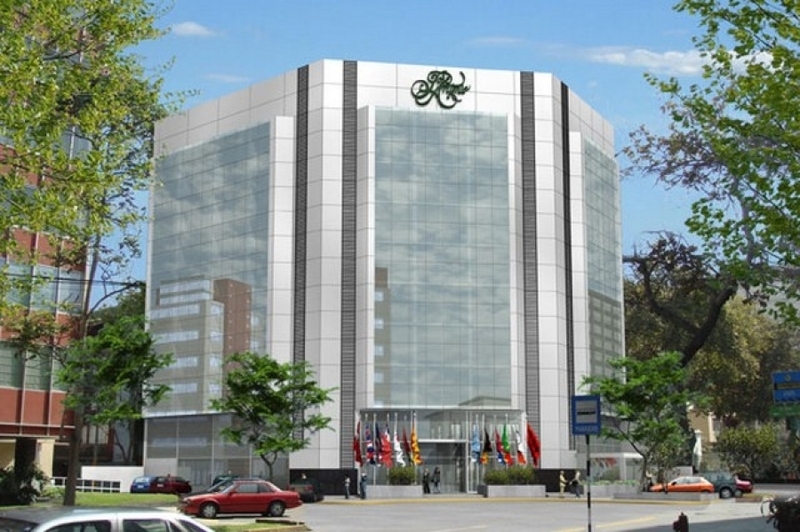 Located 30 minutes from the international airport and 20 minutes from the historic center of Lima. 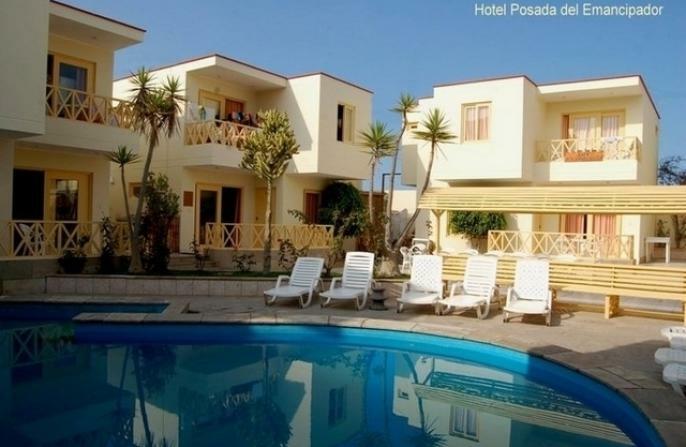 Is located in the Paracas Bay, just a few minutes away from the town center and pier where people take the excursions to the Ballestas Islands. The rooms have comfortable beds and a small balcony to the ocean. It has 39 rooms with terrace, private bathroom, cable TV and sea view; also 05 Suites with Jacuzzi, terrace, cable TV and sea view. Especially for families it has 5 Bungalows, each with 2 floors, 4 bedrooms, living room, kitchen, laundry, and terraces with views. Just 5 minutes from the Nazca airfield and approximately 15 minutes by road from the Nazca Lines, Casa Andina Classic – Nazca Hotel invites you to visit the enigmatic Nazca Lines. 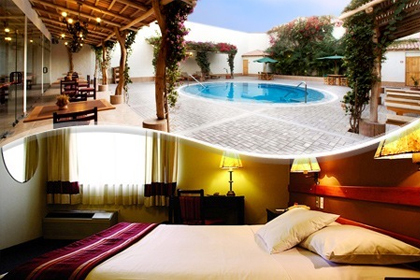 Casa Andina Classic – Nazca Hotel is the most comfortable and centric hotel in Nazca city (also known as Nazca). 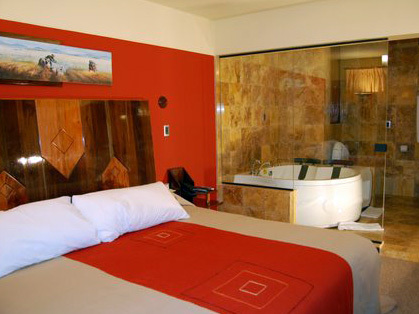 Its great location and first class facilities make it stand out from other Nazca hotels. Hotel abounds with rustic details. Built from the volcanic “sillar” stone and located in the old quarter of Arequipa, the hotel provides easy access to main tourist attractions such as Santa Catalina Convent, the Cathedral of Arequipa and La Compañía Church. The Hotel Casa Andina is located in the center of the city, to 5 stables of the Plaza of Weapon, 15 minutes of the airport. 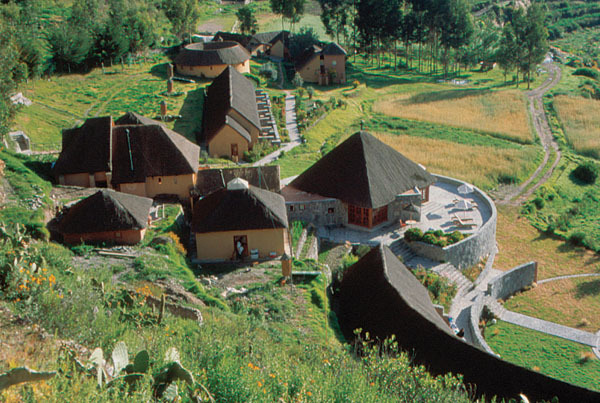 Colca Lodge is privileged to enjoy a very special location amid pre-Inca agricultural terraces beside the River Colca. The 45 rooms we offer our guests have a wonderful view towards the valley and are built around the gardens and courtyards which make up the hotel. The style is rustic, with thatched roofs and some of them have adobe walls; these help maintain inside temperatures, thus collaborating with the natural environment. We are currently implementing an ecological heating system which uses the geothermal energy available on the site of the hotel. The bathrooms are supplied with hot water from solar heaters. Bathrooms are small but complete, with a special touch just for you. Royal Inn Hotel is a few steps away from Puno’s Main Square, this lets our guests to have easy access to the most important streets, commercial stores, handicraft stores, restaurants and our city’s banks. Royal Inn Hotel, certified with 4 stars category; has 54 rooms, bar, restaurant, conference room, parking facilities, multipurpose rooms and a professional staff highly qualified, according to our standards, competitive and committed to satisfy our guests requirements. 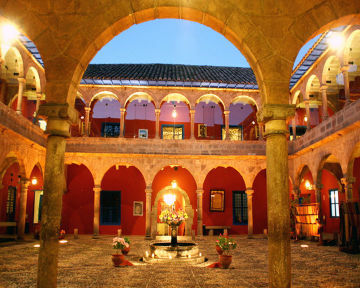 Located in a colonial-era mansion that is considered part of the cultural heritage of the city of Cusco. The building dates back to the 17th century, when the Marquis de Picoaga arrived in the city and built himself a new home, employing stonework and murals. The hotel is divided between a colonial wing and a contemporary wing, combining stone archways, a beautiful patio, a fountain and original murals dating from the architecture of the 17th century with all the comforts of a modern, contemporary hotel. The rooms have been designed for the comfort of the guests and are spacious, peaceful and fully equipped. 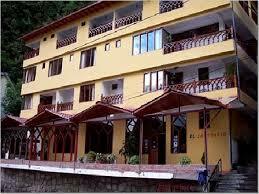 Visitors to Machu Picchu will enjoy their stay at the Hotel El Santuario Machu Picchu. The hotel boasts salon, boutique, restaurants, room service and dry cleaning and laundry among its services and amenities. Splendors Peru Group series take care accommodation for special night at Machu Picchu. There are many travel Agencies in Peru, offering different packages in a considerable range in quality, reliability, and price. As one of the pioneers of commercial adventure travel in Peru, we are very proud of our record of environmental and social leadership. We set the standard of quality among full-service outfitters. Sun God Peru® has been awarded Best Adventure Travel Agency by the Peruvian Ministry of Tourism every year since 1980. The award recognizes the high standards that our guides, staffs, and other employees consistently attain. When purchasing your Peru tours services from overseas agents, be certain you are buying the services operated by Sun God Peru®. Accept no substitutes! Whatever type of trip you take, you’ll benefit from the expertise we’ve earned leading Peru tours since 1980. Travelers and industry guidebooks praise our experience, reliability, and attention to detail, which all combine to create adventures and treks that you’ll never forget. ESCORTED PERU TOURS REGISTRATION: To register for this tour, complete the Tour registration form and return it with a deposit of 50% per person. If registering by phone, the deposit must be received within 10 days or the space will be released. Full payment of the tour fee is due 60 days prior to the tour departure date. Etiquetado colca valley, Cusco, escorted, escorted peru tours, lake titikaka, Machu Picchu, nazca, our tours, paracas, Peru, peru and more.., peru luxury tours, splendors of peru, tours.